attending ASIA APPAREL EXPO during Wednesday 20 - Friday 22 February 2019. The applicant MUST be a TRADE BUYER in order to be eligible to take part in this Incentive Program. 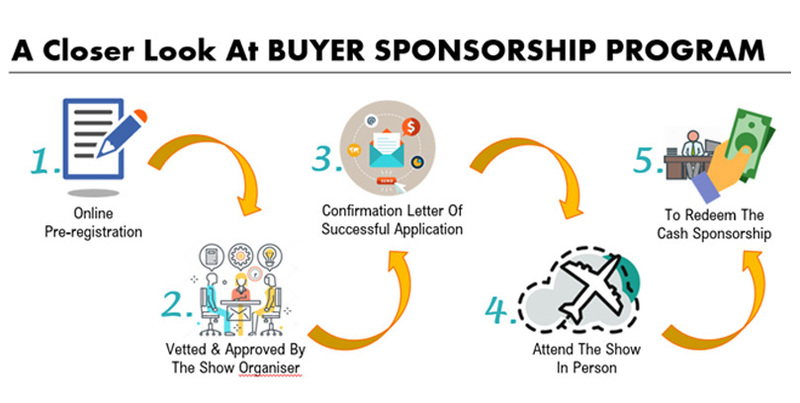 You and/or your company CANNOT be an EXHIBITOR of 2019 ASIA APPAREL EXPO-BERLIN in order to be eligible to take part in this Incentive Program. Each company will be eligible for only 1 (one) single offer. Your application does not automatically entitle you to be included in this Incentive Program, which will be provided at the total discretion of the show organiser and manager. You will receive a notification from the show manager to inform you of the result of your application after review and vetting. 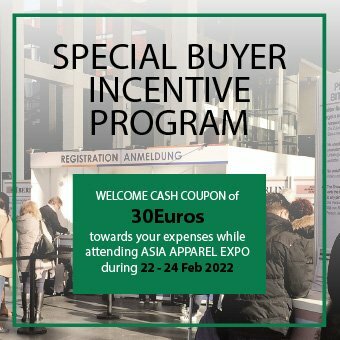 You must attend the 2019 ASIA APPAREL EXPO-BERLIN in person during Wednesday 20 - Friday 22 February 2019 in order to claim the incentive offer. You can redeem the Special Buyer Welcome Cash Coupon once only during the three open days of the exhibition. 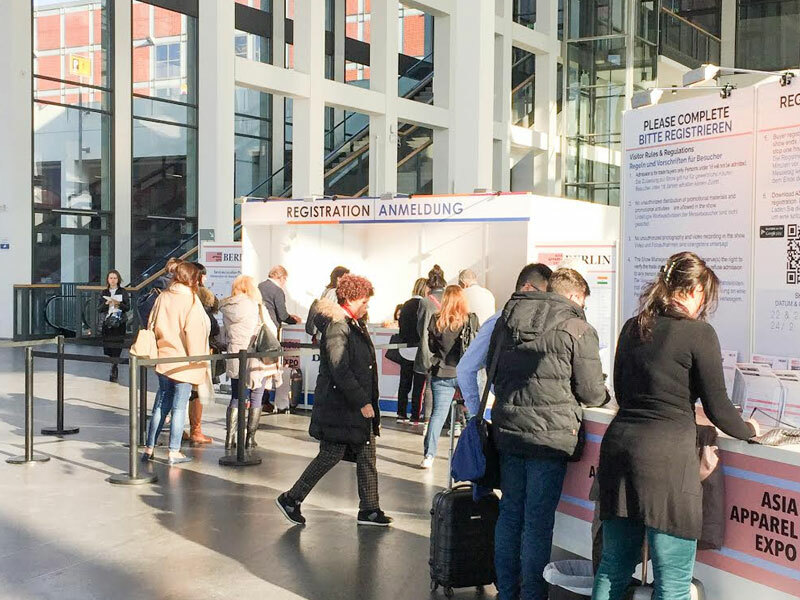 On the day you attend ASIA APPAREL EXPO-BERLIN, please bring your passport, your buyer badge, along with the confirmation letter to the Expo to claim your WELCOME CASH COUPON. The show organiser and manager reserve the right to vary the terms and conditions, change or terminate this Special Buyer Incentive Program without any prior notice. In case of any dispute regarding the Incentive Program, the decision of the show orangiser and manager shall be both final and binding.